In digital environments, it’s fairly simple to gauge customer attitudes—at least in part—based on the behavior of those customers. If they come back to the website over and over, they are very satisfied with what they find there, they are gluttons for punishment, or they are your Mom. Email provides its own built-in success metrics in the form of open rates, click-through rates, unsubscribe rates, and the rest. Online forms have conversion rates to infer similar achievements. Social media has engagement rates to determine success at the individual piece of content level. Videos have dwell time—the length and percentage of each video watched. Even webinars have show-up and re-watch rates to use as measures of customer satisfaction. But what if your customer interaction is mostly or entirely offline? If a customer has actually appeared inside your place of business (retail, restaurant, professional services office, theater, car dealership, or anything that might reasonably appear on Yelp), gathering feedback from that customer AT THAT TIME is critical. This is not a hypothetical customer—like a webinar attendee. This is a real, live, breathing human who has just presumably given you money in exchange for goods and/services. Effectively gathering the opinion of as many of these people as possible can have a massive impact on your customer experience and overall business trajectory. But does this happen today? Do we routinely provide feedback within an in-store setting, before we hit the parking lot? No. Are we ever even asked for our feedback while we are still in the store? Typically, no. Business owners currently rely on the shaky efficacy of a three-step process and hope for the best. 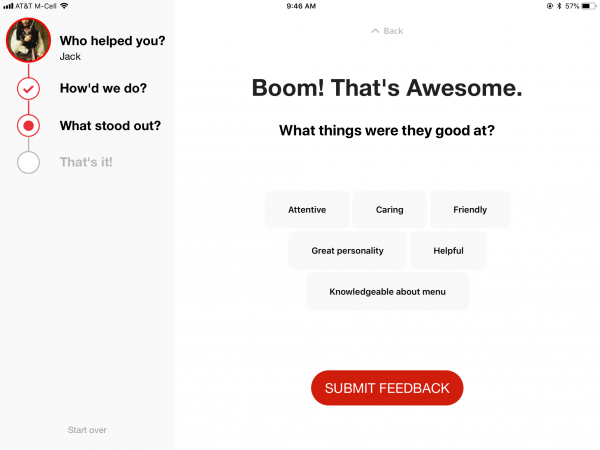 Nudge the customer to provide feedback once they’ve left the business, via a review on Yelp (or similar) or a request to call a survey phone number shown on their receipt. 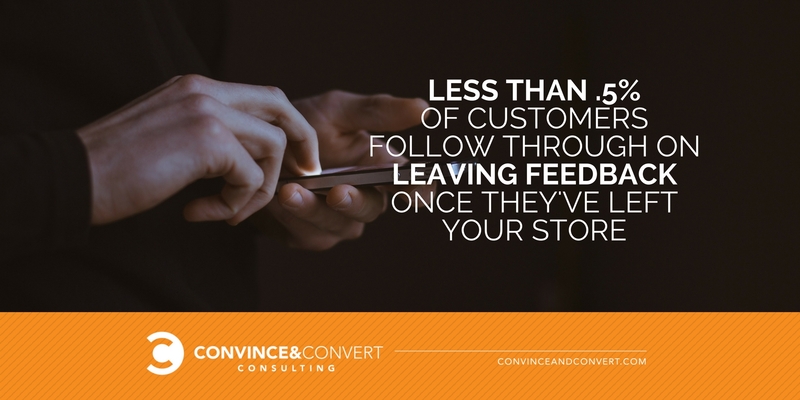 The customer, who has about 1,237 other things to worry about, will at some point in the future remember that they were nudged to provide feedback and feel compelled to do so. The customer takes the time to visit an online ratings portal or call a survey phone number. What percentage of customers actually get through all these steps? Less than one-half of one percent, according to Kevin Berk, CEO of ServiceGuru, a customer feedback platform. If you’re trying to optimize your customer experience—and you should be—it’s pretty difficult to do so when your data pool consists of .5 percent of your in-person transactions. Companies and organizations are starting to understand this, which is why you’re seeing a rise of “smiley face” feedback collection. One of the most prominent players in this category is HappyOrNot, founded by Finnish entrepreneur Heikki Väänänen in 2009. Now installed in thousands of locations worldwide, these smiley-face kiosks gather feedback from approximately 20 percent of customers, according to the company. That’s of course much better than .5 percent, especially since customers generate the feedback while still on-site. But what do you really learn from a happy face versus a sad face? You get overall satisfaction as a baseline metric, and nothing else. Customers have no ability to provide context or details surrounding their experience, making this a blunt instrument for data gathering. 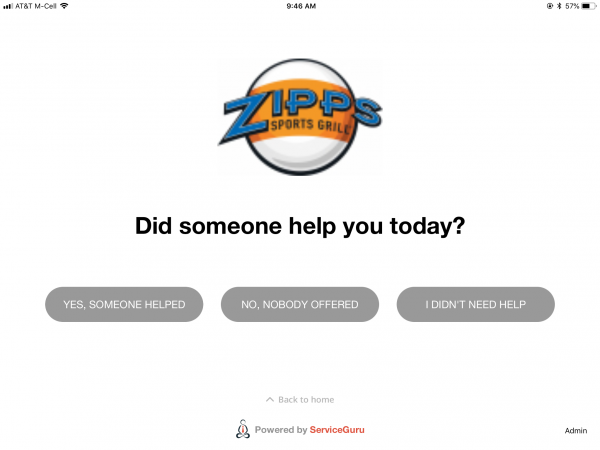 Berk’s ServiceGuru (disclosure: I am an advisor to the company, as is Shep Hyken) marries the ease and timeliness of HappyOrNot’s feedback mechanism, with additional nuance and detail that makes it far more useful for generating actionable insights. ServiceGuru sets up a kiosk at the exit of retail stores and restaurants. The kiosk uses a regular iPad to display feedback collection options to customers. 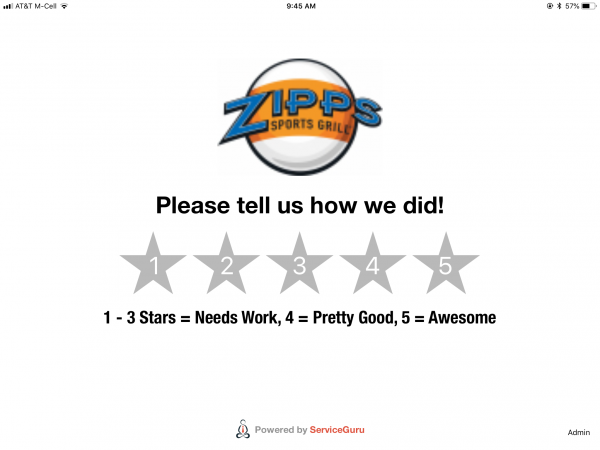 In addition to the top-level satisfaction score (one to five stars instead of smileys, but it’s the same principle), ServiceGuru also allows customers to provide additional detail about their satisfaction or lack thereof, as well as indicate who in the store/restaurant assisted them. This provides far more useful information to managers. ServiceGuru usage is incredibly high in test locations, with a chain of hardware stores seeing up to a 2,700 percent increase in feedback collection among customers. 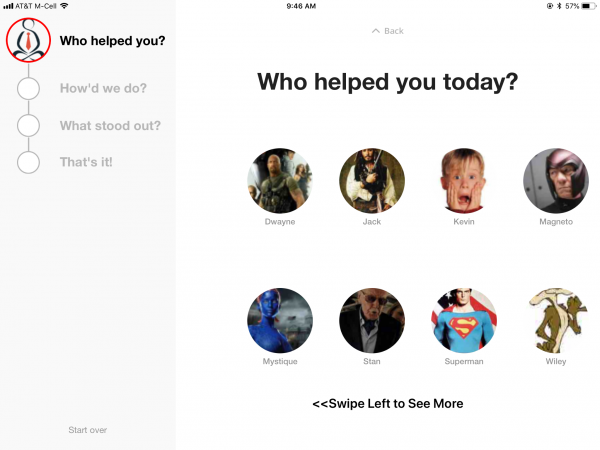 Also, asking customers who helped them in the store appears to trigger a psychological “nudging” effect. Customers are seeking out managers to make sure they know that they experienced great service. To optimize customer experience, you must have data. It’s easy to come by online—less so offline. Feedback provided in-store is better than feedback provided later via reviews site or a phone survey. Certainly, simple experience “score” mechanisms like smiley kiosks can deliver a high ratio of customer participation. But what do you really learn in that scenario? 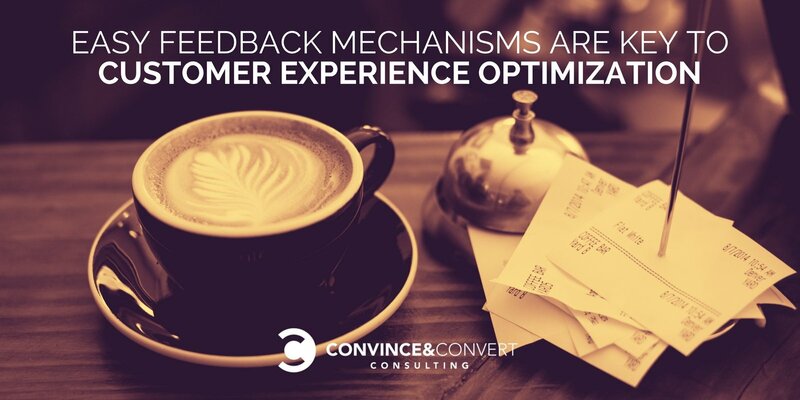 The future of offline customer feedback is a blend of on-location, simple feedback collection (making it obstacle-free for nearly all consumers) and a short list of more nuanced and useful data points that give management actionable insights.